​Manchester United believe that they have made a breakthrough in contract negotiations with David de Gea, with a lucrative extension reportedly lined up for the Spaniard. The 28-year-old has 18 months left on his contract at Old Trafford after United triggered a 12-month extension before Christmas, but new contract negotiations have proved frustrating thus far. 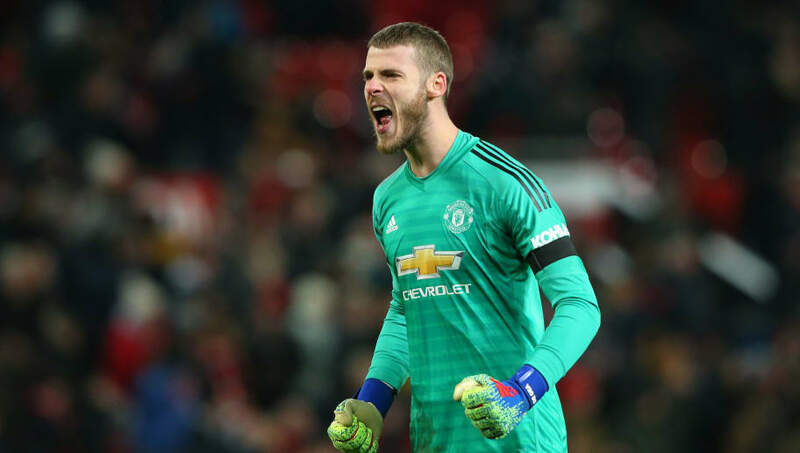 However, ​the Metro claim that United are 'increasingly confident' that ​De Gea will stay, suggesting that he is now close to signing a new contract which will last until 2024 and earn him £375,000 a week. This would be a huge increase on his current salary of £210,000 a week and it would make him the highest-earning goalkeeper in the world. ​Manchester United were handed a boost last summer when De Gea's long time admirers ​Real Madrid grew tired of waiting and signed Thibaut Courtois from Chelsea instead. With Barcelona and Bayern Munich also having world-class goalkeepers, Paris Saint-Germain is perhaps the only club which has both the finances and the need to sign a goalkeeper of De Gea's ability. United had hoped to tie De Gea to a new deal last summer, but a poor start to the season left him contemplating his future, with Jose Mourinho saying that he was 'not confident' of the Spaniard extending his stay. Things are looking up since Ole Gunnar Solskjaer replaced Mourinho last month, with De Gea playing a big part in helping United win nine out of ten matches under the interim boss. If he does sign a new contract, De Gea would become the fourth United player to do so since Solskjaer took charge, following Anthony Martial, Chris Smalling and Phil Jones.